I was first attracted to this book by the quirky blurb as it seemed to promise a fun read. It didn't disappoint in that regard. It was the fun aspect that made me give this book four stars rather than three. The writing is fine, but not amazing and the characters are good, but rarely fleshed out completely. Even Pearl appears somewhat two-dimensional at times; although we see more development from her than any of the others. However, the book is more than saved by a funny and clever plot idea. I loved the storyline and wanted to know how it would progress. The story alone sucked me in completely (no pun intended) and was enough to make up for other minor defects and keep me not only reading till the end, but also keen to read on. In addition, I enjoyed the little 'digs' at YA fiction and 'sparkly' vampires as they added to the book's sense of fun and self-mockery. 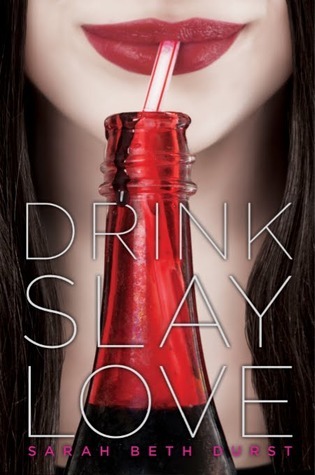 This is an amusing, easy read that will appeal to fans of lighter YA fiction and vampire lovers who are looking for something a bit quirky and different. The moral of the book: Don't mock the Unicorn!